11:42 Style: Level up your $$$ making skills... for free! Have you ever wanted to study something that you are really interested in but you weren't really sure if it was worth the investment? Wanted to go to college but too strapped for cash? Been too afraid of a long term commitment with just one campus or subject? Enter Coursera. Coursera.org is a platform where universities from around the globe offer free online courses to anyone who may be interested in them. All you have to do is sign up and do your best to finish the coursework during the given time frame. It really is that simple. 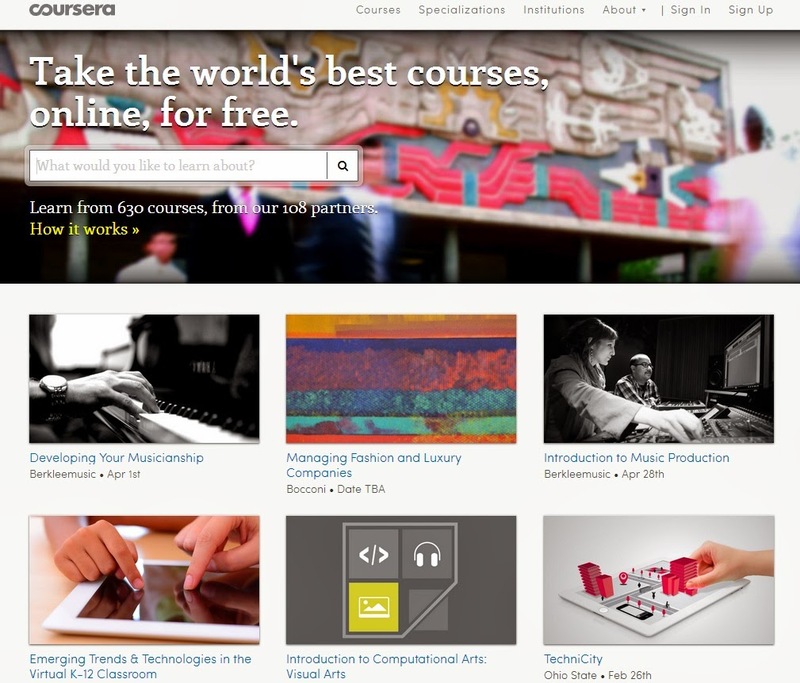 With Coursera you can take courses for free and actually earn certificates. Some of the certifications require a small fee for supplies and books but it is always much less than you would pay elsewhere, even at a community college. You can apply for a scholarship to cover any fees if you need to! I just signed up for "Developing Your Musicianship" from the Berklee College of Music which is part of a 3 course program. The top 10 students who complete the entire program will even receive a $1400 scholarship to attend any other Berklee online courses of their choice. Frick yeah, I can't wait! There are other great places to level up your knowledge too. Kahn Academy and Treehouse are both amazing but I like how Coursera offers Music which is one of my biggest passions. Hopefully they will add more fashion courses in the future! If you could be anything in the world what would you be? I would be a singer/ fashion & accessories designer/ zoologist or dolphin trainer/ baby sloth caretaker/ mom lol.